Oshi-Casino, one of the first Bitcoin casinos to launch in 2015 with an official license have recently announced that they’ve added games from two more game providers in their already diverse portfolio along with new enhancements to the casino’s design, which are to provide a smoother mobile gameplay. The changes were announced through an official press release and are already live at Oshi Casino’s website. The key addition to Oshi’s offer is a colorful selection of slots and table games from Pragmatic Play – a Maltese game studio which has been gaining quite the attention during the past two years, but also UK/Isle of Man designers Booming Games. This brings the total number of game studios available at Oshi Casino to 12, while their owners say they don’t plan to stop here. 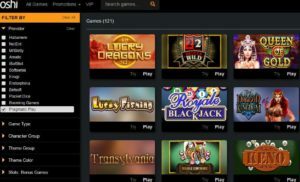 Packing so many games isn’t a concern for Oshi Casino founder Nick Garner, as their Softswiss platform also had an overhaul to make the user experience smoother and faster. Garner says that the casino now has one of the most “powerful” search tools in the online casino market, which allows them to keep adding games from new studios to spice up the overall experience with more choice. According to Garner, instead of diluting the game offer by adding new games, their search tool makes it easy to find what to play, which is why they don’t fear adding more. The theme has also been upgraded to offer a more slick and refined look, along with improved functionality that will be especially beneficial to Bitcoin gamblers who prefer playing mobile instead of desktop. Garner says that Oshi casino takes mobile gaming very seriously, which is why they’ve redesigned the website to bring better “mobile usability” and make the casino’s page “100% mobile-friendly. And apart from the theme, what’s new in the mobile platform is Oshi’s developers were able to speed up video previews and load time between different sections of the site to minimize lag. In the early days, Bitcoin casinos were not quite known for having the best online game offer, nor any licenses. However, the progress made by Bitcoin operators is more than visible today, and Oshi is no exception. Licensed in Curacao, this casino offers a well-rounded game portfolio that’s powered by some of the best studios in the industry, including NetEnt, Betsoft, Ezugi, and Microgaming. With nearly 900 games available on tap, there’s hardly anything missing from the offer, even Live Dealer games. 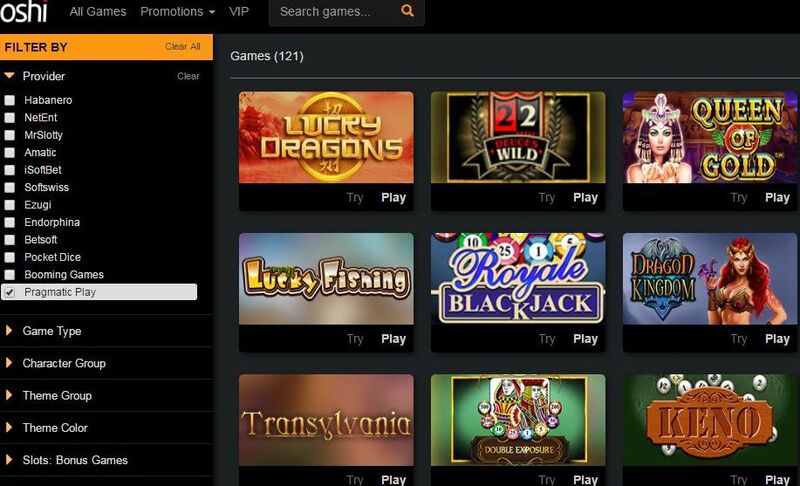 But what’s really interesting to see at the casino is not its big game portfolio, but a group of filtering tools which can help you select games by type, type and feature, or even theme, volatility, or ease of play, which is probably a first in the online gambling industry. The casino also offers a number of interesting incentives to its players, including a proprietary offer called Build a Bonus, which is aimed at both new-joiners and existing players. With the help of Build a Bonus, you can create your own welcome package or deposit bonus and choose between receiving free spins or bonus money. For more on their offer, you can go to Oshi Casino and browse through it yourself.